Pictured #21 Jan Jonck and #23 Thomas Maxwell. #21 Jan Jonck and #23 Thomas Maxwell. Oxfordshire motor racing team SWR made a consistently strong start to the maiden season of BRDC British Formula 3 action at a weather-affected Snetterton 300 Circuit over Easter weekend, with its trio of rookie drivers Jan Jonck, Thomas Maxwell and Eugene Denyssen scoring in all three races. 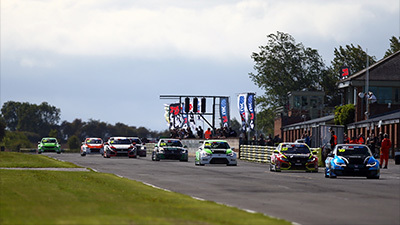 Australian driver Maxwell emerged from the event as the highest placed SWR competitor in the championship standings, departing Norfolk with equal seventh in the title race after securing a best result of seventh position in round two on Easter Monday, 28th March. Team-mate Jan Jonck matched that result in the rain-hit first race on Easter Sunday, 27th March, while South Africa’s Eugene Denyssen also took his best of 14th place in the curtain-raiser. 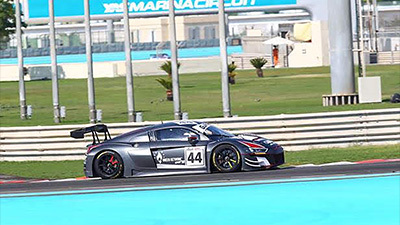 Jonck concluded the weekend 11th in the standings with Denyssen in 16th position. “We’re pretty happy with how the first weekend has gone”, said Sean Walkinshaw, team owner of Chipping Norton-based SWR, “Tom, Jan and Eugene are all on a big learning curve for their first season at this level, but they did a great job – especially with each of them finishing all three races. Known previously as the BRDC Formula 4 Championship, the category’s place on the single-seater ladder has been hugely enhanced with its newly confirmed status as British F3 – a move largely influenced by the increased power and performance of the new Tatuus-Cosworth car. Qualifying for the first race of the new British F3 era took place on a dry track, under bright skies, with Jonck securing a spot on the fifth row of the grid in 10th position, Maxwell lapped 12th fastest and Denyssen was 16th quickest. Before round one got underway, though, the heavens opened and the three SWR newcomers had to contend with a wet contest on their respective Formula 3 debuts. Jonck moved up into ninth place on the opening lap, with Denyssen climbing into 13th spot, but Maxwell produced the most impressive getaway after surging through into the top seven. Although edged back to ninth on lap four, the Australian remained ahead of team-mate Jonck as the Dane also slipped a place to 10th position. As the race reached mid-distance on lap six, Jonck and Maxwell profited from dramas for a couple of rivals but the Dane also managed to get ahead of the Australian in the process. Holding seventh and eighth, the duo continued in that order but Maxwell was then nudged down to ninth on lap eight. Jonck eventually took the chequered flag in seventh place, Maxwell ended the contest in 11th spot, after slipping back a couple of places over the course of the last few laps, while Denyssen ended his maiden British F3 contest in 14th position – passed by the recovering Matheus Leist on lap eight. Rain stopped play on Easter Monday morning due to heavy rain and very high winds, leading to a rescheduled timetable. 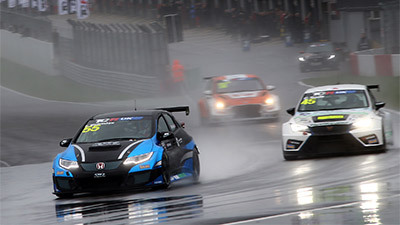 When round two eventually got underway mid-afternoon, on a dry track, Jonck lined up second – the eight finishers from race one ‘reversed’ to comprise the upper order of the race two grid – while Maxwell started at the head of row six with Denyssen just behind. Jonck maintained second place off the start and although challenged for position, he regained the place as he sought to stay with the race leader. Frustratingly for the Dane, though, he slipped down to 10th position and although battling back into ninth place into the closing stages he ultimately had to settle for 10th spot after a very tight four car battle. Australia’s Maxwell was the lead SWR finisher in seventh place, racing strongly from 11th on the grid. 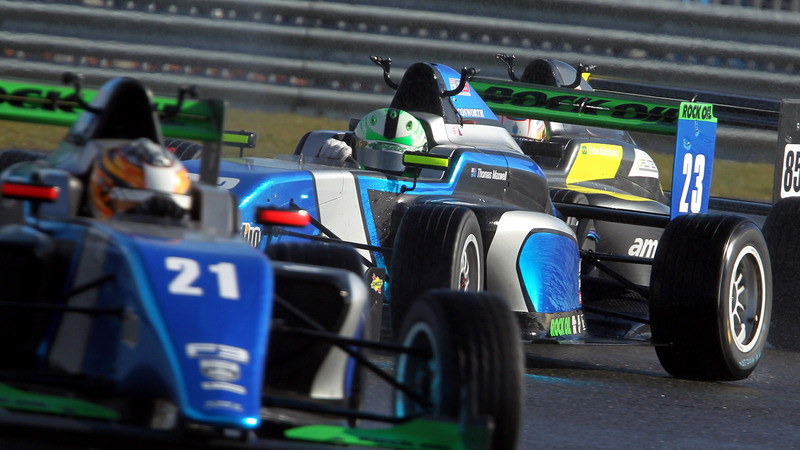 Gaining two places on lap one, the BRDC F3 rookie marched into the top six on the next tour and aimed for more following a three lap Safety Car period. Edged back a couple of spots after racing resumed, Maxwell was undeterred and moved up into seventh on the final lap. For team-mate Denyssen, the second encounter of the weekend was less fruitful. Initially slipping back to 19th position on the opening tour, the South African did manage to climb through into 13th place prior to the Safety Car but his hard work was undone and he eventually finished in 17th spot. The weather for round three couldn’t have been more in contrast to how the day began, glorious sunshine appearing over Snetterton 300 Circuit. Maxwell was the highest placed SWR driver in fifth on the grid and although edged back to eighth on the first lap, he resisted the pressure of a queue of cars behind for almost the entire contest – only slipping to ninth on the final tour. Jonck, starting on row six in 11th place, maintained position early on before breaking into the top 10 on lap five. On the penultimate lap, though, the Danish racer’s hopes of pushing further forward were ended when his car lost power. He eventually finished in 20th place after getting going again. 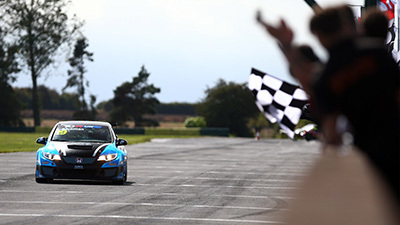 Denyssen started the final encounter in 15th place and initially gained a spot on lap one before being edged back gradually to 17th two thirds of the way through the contest. He was able to climb back into the top 15 before the flag though. There is now a three week break in British F3 action until the championship resumes across the weekend 16th/17th April, at Brands Hatch Grand Prix Circuit in Kent, as a co-headline category with the British GT Championship.